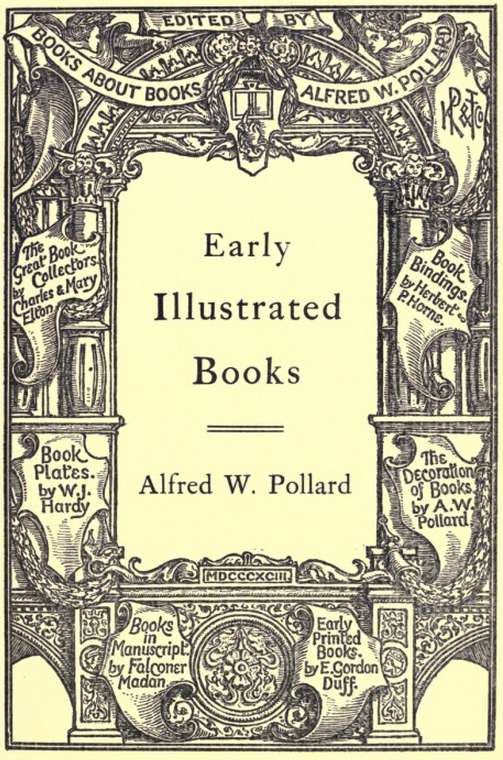 Pollard, Alfred W. Early illustrated books: a history of the decoration and illustration of books in the 15th and 16th centuries. London: K. Paul, Trench, Trübner & Co., 1893. Provenance: Morris. — Richard Bennett. — Sotheby 1898, lot 51 (part; sold to Henry Wellcome for £1 14s.). — Henry Wellcome. — Wellcome Library (Temp. store Hist. YHF.AA4-5).